Stop wasting your clicks. Beat your competition and grow your leads, sales and revenue by capturing more high value customers with cost-effective paid search strategy. I love helping companies succeed! Google AdWords is one of the fastest, most targeted and least risky options to advertise your business, but only if you setup and manage your campaigns correctly. Run text ads in Google search and partners to drive highly qualified leads to your site. You only pay when people visit your website or call your business. My mission is to make sure I get you the best lead for the lowest price by operating my magic. Reach your target audience and raise your brand awareness with banner ads and text ads on the Google Display Network. 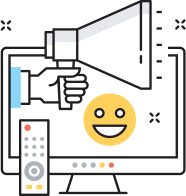 Broadcast your video ads on YouTube and the Google Display Network. Promote your Android or iOS app across Google’s top properties including Search, Play, YouTube, and the Google Display Network. Stay top of mind with potential customers by re-targeting them across the Google search and display network. If you have an e-commerce website, you can use shopping campaigns to promote your products and boost sales. As a Google Partner, I can apply a $100 coupon to your account. Want to kick-start your business leads? 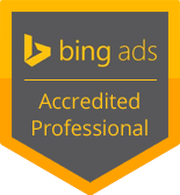 For more information, and to explore what Pay Per Click campaigns can do for your business, contact me today!